I made a few changes and used the author's suggestion of slightly warming the soup. It was tasty but I can't say I LOVED it. 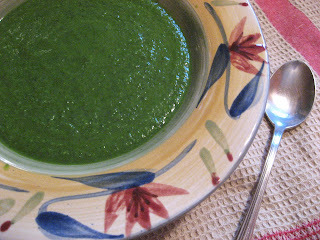 There are a few other "cream" spinach soups I'd like to try too. Here is the recipe for non nut eaters. The next attempt will be a cream spinach soup.